Ralph P. Perrino is a financial executive with over 30 years experience advising business executives of large and small public and privately held companies, at different stages of their life cycles and levels of operating success, on a variety of business challenges. He has diversified business experience through positions in industry, public accounting and government. He was a Vice President of Finance of a Fortune 500 company (Olsten Corporation and Gentiva Health Services Corporation, a subsidiary of Olsten Corporation) that provided temporary staffing, home health care and infusion therapy services through 1,400 offices in 13 countries. Prior to that, Ralph was an audit partner with KPMG where he was the partner in charge of two audit practices in one of the Firm's New York Offices. Early in his career, Ralph worked for the New York State Department of Health where he developed an audit planning and support group for the Medicaid audits throughout the state. He has been involved in the health care industry as a professional advisor, and has worked for a health care provider and a government regulator. 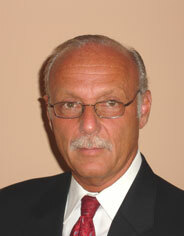 Ralph has provided certified public accounting and business advisory services throughout his thirty year plus career. His business advisory expertise includes planning, accounting, business strategy, corporate finance, transactions, resource utilization, risk management and private company advisory services. His health care regulatory experience includes reimbursement rate disputes, third party payor audits and investigations, qui tam filings, provider self disclosures and corporate integrity agreements, and, his litigation consulting experience includes white collar matters, including embezzlement, accounting fraud and audit failure. He has diversified industry exper ience including, consumer products, financial services, health care, industrial, public sector and infrastructure, real estate, services, tax-exempt and technology. Ralph received his bachelors and masters degrees in accounting from, and has attended graduate classes in economics at the State University of New York at Albany. Ralph is a licensed certified public accountant in Florida and New York State and is a member of various professional and industry associations where he has held board, officer and committee positions.